Hunter’s innovative specialty nozzles accommodate the needs of narrow planting areas and sloping landscapes. The specialty nozzles include center and end strips, corner and side strips, short radius and multi-stream models. These reliable, wind resistant sprays work where the fixed or adjustable nozzles won’t. The specialty nozzles are designed with the same quality materials as the other Hunter nozzles, ensuring complete coverage in challenging areas. Built to last in harsh conditions. Individual filter included with each nozzle. 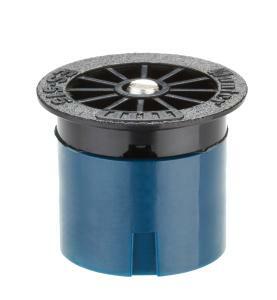 *Pair with Pro-Spray® PRS30 pop-up for optimal performance and accurate pressure regulation of 30 PSI.